We are happy to announce that ToXSL Technologies has completed 5 years! 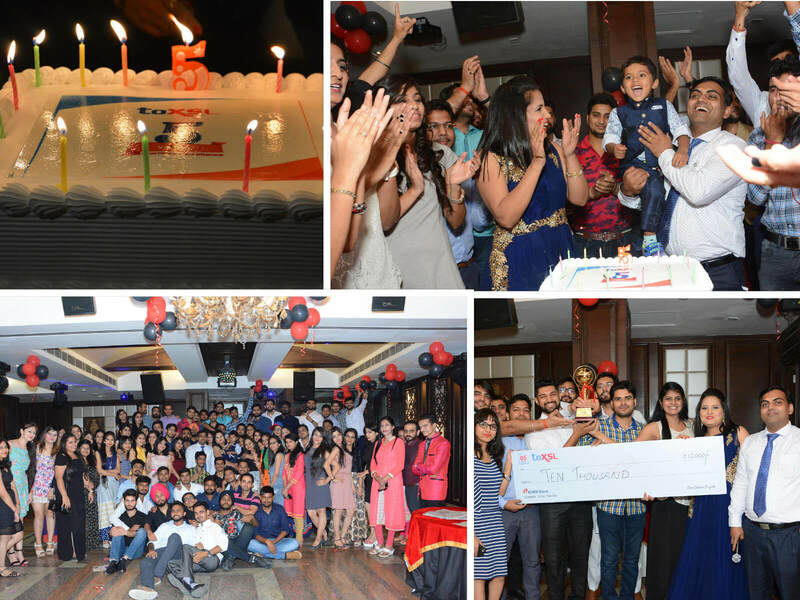 We celebrated our 5-year milestone with a bang-on party held at a wonderful place with lots of excitement and fun. That was the moment when we were totally free from our office hours and celebrated the moment of completing 5 years of our success. The decoration of the venue was so beautiful which helped to keep our moods high. The lightning and the whole arrangement was fully entertaining. We started the celebration with exciting fun activities. Singing, dancing, acting, awards, prizes, cake cutting ceremony, DJ bash and many other fun activities made the event even more exciting. During the ramp-walk show, our dudes and divas walked on the stage to show their outfits and glamour. Our CEO awarded the title of best team of the year and many cash prizes to the peak performers to motivate the employees for their hard work and honesty. It was a magnificent event that rewarded the employees for their contribution to ToXSL's growth. The happiness was overloaded and the whole office staff was cheerful. At the end, the party ended with the happiness of success, achievements, and togetherness of the company. In 5 years time, we have grown from a staff of 100 to 200, doubled our square footage, and added much more services for the better improvement. The Saga still continues and we are looking forward more parties in the future.